Chef Tim has a long history in restaurants—he started working as a dishwasher at age 14. Keeping his eye on the prize, he worked his way through the kitchen ranks while earning his culinary degree from the Art Institute of Philadelphia in 2002. 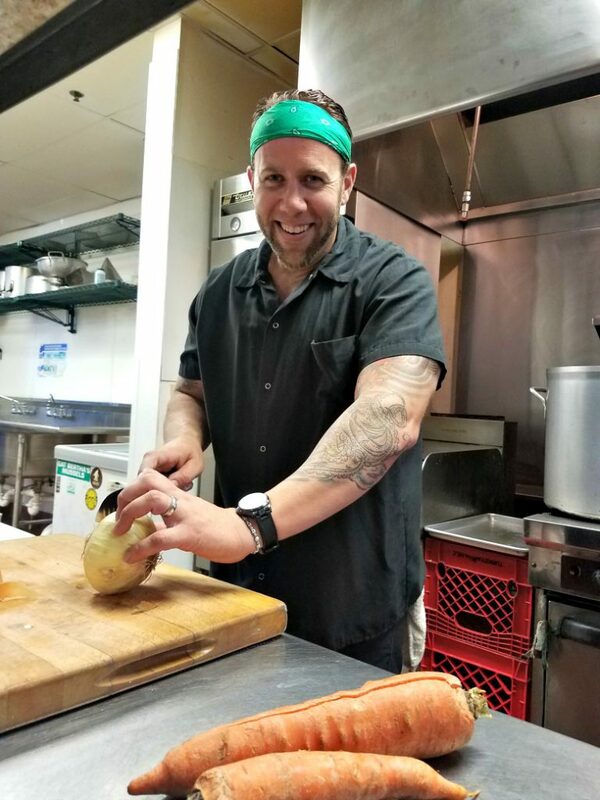 He’s honed his skills at Dilworthtown Inn, Farmhouse Restaurant and the Back Burner Restaurant as the executive chef/general manager. Choose a squash that is clean (no blemishes), and look for dark greens and bright yellows to assure freshness. Remember to cut vegetables into equal sizes pieces—usually on the larger side—so they cook evenly and at the same time, especially when cooking on a grill. Grilling imparts rich flavors, smokiness and, depending on the squash, a touch of sweetness. Vegetables like squash cook rather quickly on the grill—in as little as 10 minutes. Look for grill marks (slight charring) to signal they’re done. Pair squash with a meaty fish—like swordfish! Try using the same spices or herbs on the fish and the squash—such as parsley for fresh notes and cilantro for bright and exotic flair—to really tie the meal together.